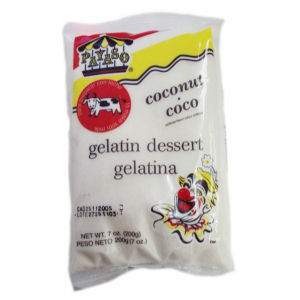 The most delicious gelatin dessert with coconut flavor. This product is an excellent and economical way to serve your family or guests a type of exotic milk based gelatin. Just add your favorite fresh, frozen, dried or canned fruits and you will be very happy with the results.